Leveraging upon our ultra-modern manufacturing unit, we are engaged in manufacturing and supplying Jute Fiber. The Jute Fiber, we offer, is extensively used for packaging, non-textile, textiles, construction and agricultural sectors owing to their quality make and high strength. 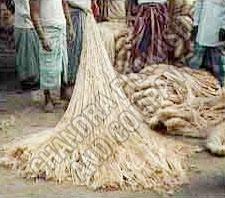 We offer the Jute Fiber in various specifications & sizes and at reasonable price.